“Do you see that building? Ten years ago it was full of stinking water, rats and trash. When people passed through the doorway a balcony could fall on their head. Today it is housing, thanks to the work of Eusebio,” Mirna says excitedly. After expressing her gratitude to the Office of the Historian of the City of Havana (OHCH) for having provided her a home, this 68-year-old woman confesses her concern for the future of this institution, which has passed gradually into the hands of the military. It is an open secret that the majority of the Historian’s companies have been transferred to an entity of the Armed Forces. It has not yet been published in any official decree nor has the national press spread the news, but the Historian of Havana, Eusebio Leal Spengler, has confirmed to 14ymedio that assets have been transferred to the Business Administration Group (GAE), a consortium managed by the Army. “It has not been transferred to the Armed Forces, but rather to GAE, a development company with investment capacity and prestige, which the Historian’s Office maintains the power to advise on the conservation of the work and also on new projects,” he explained via email. The Office of the Historian of Havana emerged in the ‘30s, in Republican Cuba. In 1967, after the death of the first title holder, Emilio Roig de Leuchsenring, Eusebio Leal took the helm of an entity that gradually grew not only in size and income, but also autonomy. Its uniqueness comes from the ‘90s, when the OHCH received by Decree-Law Number 143, the freedom of economic initiative. The Government, in an unusual gesture of decentralization, entrusted Leal with creating a corporate structure that would allow social reinvestment and restoration of buildings. The institution responsible for the conservation and rehabilitation of the historic center of Havana, declared a World Heritage Site by UNESCO, would be answer directly to the Council of State, and would have a special legal jurisdiction, personality and permissions to import and export, among other prerogatives. In addition, it gave the Office the ability to have entities not subordinate to it and encompassed within in the prioritized are contribute to the conservation of buildings with payment of 1% of their income from operations in national currency (Cuban pesos, of CUPs) and 5% from operations in hard currency (Cuban convertible pesos, or CUCs). Within the broad and complex business fabric that OHCH has woven for more than two decades are the Habaguanex hotel chain; the San Cristobal travel agency; the Opus Habana cultural magazine; the Habana Radio station; the Bologna publishing house; and several websites for marketing its products. The company also controlled two real estate agencies, Aurea and Phoenix; more than fifty cafes and twenty restaurants; museums, concert halls and shops; an import company, a workshop school and three construction companies (later merged into one), among other assets. In its 23 years of work, the Office has created more than 13,000 jobs directly and thousands indirectly. According to research published by the University of Havana, of the 500 million dollars generated during this time, 60% has been earmarked for social works. In addition, the company has received more than 30 million dollars in funding from international cooperation. About 55% of tourists coming to Cuba visit Havana, and 90% of them tour the Historic Center. Tourism revenues are soaring, therefore, in this area, reaching 2,185 CUC per resident compared with 245 CUC for the whole city. “The best part of the cake is Old Havana, everyone knows that, so they are taking all of Leal’s businesses,” said a worker in an old-age home funded by the Historian. Leal confirmed that the Office retains some financial instruments, including the 5% tax on any public or private activity in the historical district and the shops considered heritage, linked to the system of museums. In addition, other State institutions continue to contribute to the operation of the entity. The Historian’s Office was getting fat in the first decade of the century when it added to his portfolio the Traditional Malecon, in 2003, and Chinatown in 2005. Following the publication in the independent press of several corruption scandals related to its administration, some of the OHCH companies were taken over by other state agencies. “The process of disengagement has been slow. They have been removing one company after another to save Leal. The comptroller has uncovered a very large embezzlement and the only way not to charge the Historian, who actually had nothing to do with these thefts, is to exempt him of responsibility for these companies,” said a Cuban economist who prefers to remain anonymous. Self-employed individuals in Old Havana say they feel protected by the OHCH. Some expressed to 14ymedio their misgivings about the transfer of the Office of the Historian’s business to GAE. 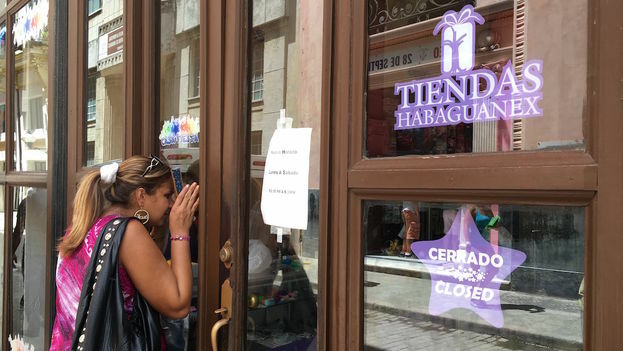 “The state always promotes its own restaurants, hotels and businesses instead of private businesses, so we don’t know what will happen now,” said Reinaldo, who operates a fashion business. 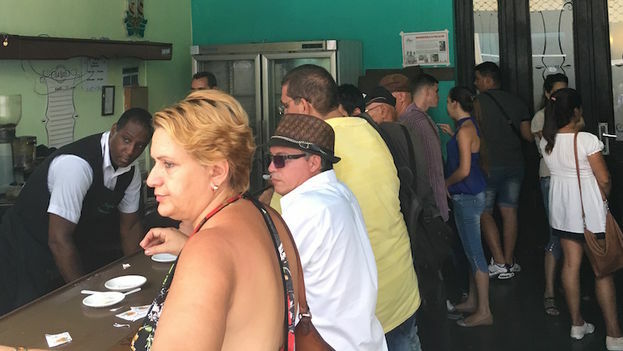 Camilo Condis, self-employed, who works with Gilberto Valladares (Papito), the hairdresser who spoke with President Barack Obama during his visit to Cuba, says that small and medium sized businesses have worked in Havana as managers of local development. “Without the Historian’s Office the work we do would not have been possible,” he said at a meeting of the Association for the Study of the Cuban Economy (ASCE). As of August 1, the institution that has saved at least one third of the historic center of Havana has seen its activities reduced to “museum management, promoting cultural activities and conservation of the heritage,” says a source at the Vitrina de Valonia cultural center. No one knows how the restoration processes in the capital will proceed from now on, but many fear that the military will not know how to manage the legacy of the Historian and will seek a more immediate profitability, without taking residents into account.